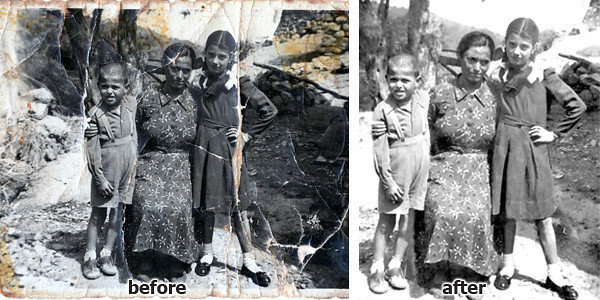 Keep your memories alive! 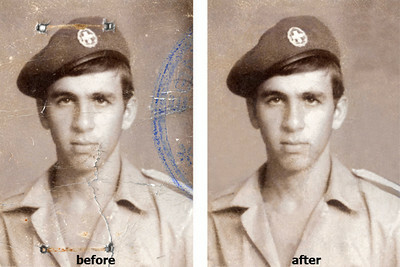 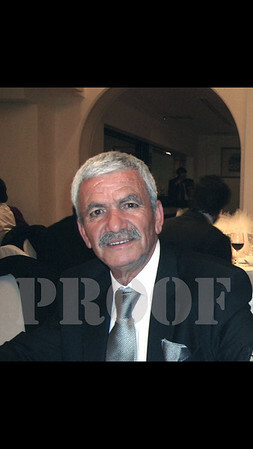 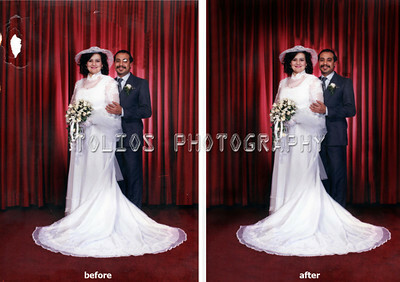 If your photo is damaged, faded or too small, "Tolios Photography" will repair it using skillful restoration techniques and a masterful eye for detail. 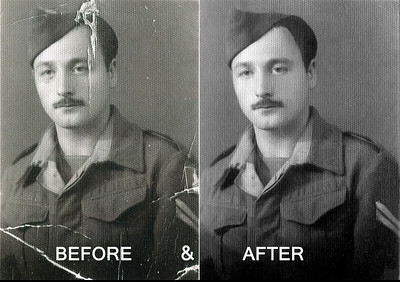 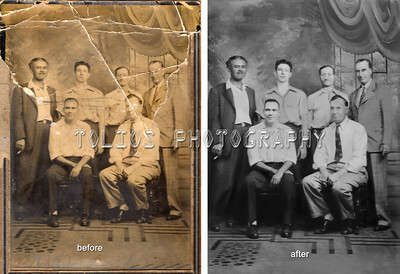 At "Tolios Photography Studio" we restore old, faded, torn and damaged photographs. 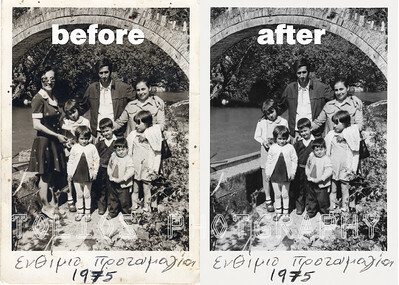 We handle black and white and color film and negatives.